Here's the only available book that examines the use of non-traditional movement systems, especially the Feldenkrais Method and Tai Chi, in the physical therapy setting to treat orthopaedic conditions/injuries. These systems represent a style of internal exercise designed to increase the patient's self awareness and attention to proprioceptive detail, emphasizing integrated or whole body patterns of movement and the use of movement constraints that encourage specific movements and/or muscle contractions. It describes the principles of ideal movement and posture, as well as common movement errors people make that lead to musculoskeletal dysfunction. It also discusses the distal or associative motor effects of injury and how to reintegrate the injured part of the body with the compensating whole. Patient lessons feature instructions for movements presented in clear, easy-to-follow, well-illustrated sequences. 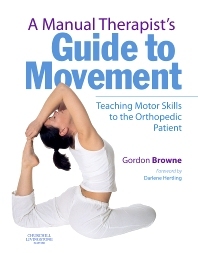 All the movement lessons in 'A Manual Therapist's Guide to Movement' are recorded on high quality audio CDs. Listening to verbal directions while doing the lessons makes it easier to focus on what you are doing and feeling. Highly recommended accompaniment to the book. 'Outsmarting Low Back Pain', a DVD/booklet combination, is a self-guided home exercise and self-awareness program for people with low back pain. Designed for the general public and featuring lessons from the low back pain chapter in 'A Manual Therapist's Guide to Movement', this program features 24 exercise/movement sessions averaging 15-30 minutes each, all thoroughly demonstrated on over six hours of professional quality digital video. Provides usable, practical information about movement and motor control. Written in easy to understand language, with well-illustrated concepts. Advocates the use of non-traditional movement systems, especially Feldenkrais principles, as well as Tai Chi, in a physical therapy setting. Presents a view of lumbo-pelvic function that emphasizes control and movement of the pelvis and low back by the legs, rather than the belly/back muscles as prime movers. Introduces the concept of the pelvic force couple, a fundamental building block of human movement and a prime factor in many common musculoskeletal complaints. Promotes a view of knee and foot function that emphasizes control of the knee and foot from the larger muscles of the hip and thigh. Suggests exercising in reciprocating patterns of movement rather than just in the "correct" direction - a technique for teaching and facilitating awareness. Explains many movement patterns and movement dysfunctions in terms of relationships among parts, describing concepts of global and differentiated patterns of movement and posture.